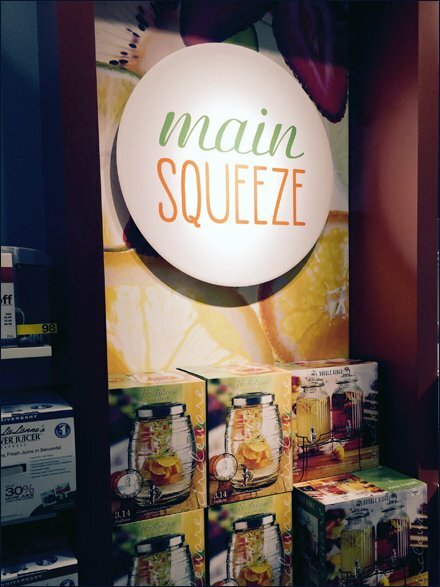 This JCPenney Main Squeeze Merchandising is playful double entendre on how fresh squeezed Lemonade is made, and this retailer being your main supplier of Lemonade accoutrements like this stack of dispensers. You decide if the cryptic message would be enough to bring shoppers to the dark corner, or if a clearer message would be better. I like the copy, colors and design in any event. Seen at JCPenney. 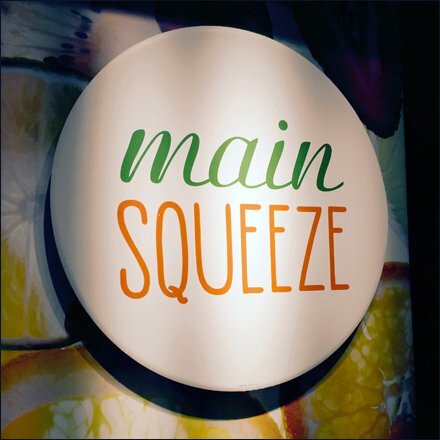 See the thumbnail for a closeup of the JCPenney Main Squeeze Merchandising sign.